Below a support letter by Rafael Cantera, professor of zoology at the University of Stockholm in Sweden, addressed to the leadership of the University Clinic Würzburg. This is because two professors of this German university, Thorsten Walles and Heike Mertsching (now Walles) chose to respond to my inquiries about their earlier trachea transplants made from pig intestine (see my detailed report here) with lawyers’ financial blackmail and right after, with court actions, which had me sentenced guilty with a threat of a prison term of 6 months, without my prior knowledge (see case description here). Such are the peculiarities of German law: internet bloggers are basically legally defined here by default as criminals, and professors as infallible and divine beings (in fact, even Walleses’ former boss and collaborator Paolo Macchiarini is still a protected adjunct professor at their former common place of work, the Medical University Hannover). I received lots of support from my readers, and was also invited to give an interview with the French magazine Mediapart (German version here). Now, I am deeply grateful to Prof. Cantera for his support, and hope other international and maybe even German academics join in and sign below. The Walleses even admitted to their judge in Würzburg that they did receive my questions in advance, but chose not to reply to them. They instead even revealed to the court their immediate intentions to find out my private address and had me slapped with a costly court injunction and a threat of a prison term, from the very beginning. The judge however apparently saw my act of asking inconvenient questions alone as an act of blasphemy against German professors. The only evidence against me which this Würzburg regional court judge actually bothered to scrutinise was the Walleses’ academic employment situation and their current applications to new professorships. That “evidence” fully sufficed to declare me guilty of slanderous libel against two German professors, what I actually wrote about their trachea transplants on my site was utterly irrelevant in this context. It was enough that the Walleses did not like it. While they and their pricey lawyer prepared this legal attack on basic freedoms of speech and press, their employers, the University of Würzburg and the Fraunhofer Institute for Interfacial Engineering and Biotechnology in Stuttgart, repeatedly refused to answer any of my questions regarding those 3 tracheal transplants, even when requested to do so under legally binding freedom of information law. Most recently, I asked the Fraunhofer institute to explain if any animal testing at all was performed before their researcher Heike Walles delivered in 2007 and 2009 pig-intestine-derived tracheal grafts which her husband then implanted into two patients. The internet biomedical portal PubMed suggests that to the very least, no animal experiments at all were published by the Walleses in this regard, before or after the method was initially first tested on a human patient together with Macchiarini in Hannover in 2004. Update 23.01.2017: The Fraunhofer Institute admitted that no animal testing was deemed necessary prior to two patient transplants. Details here. Instead answering my questions, the University Clinic of Würzburg allowed their two professors to use these affiliations to suggest that they were actually acting in court against me as representatives of the entire University Clinic. It went as far that both the University and the University Clinic Würzburg refused to even acknowledge receiving my administrative complaints about their two professors, never mind processing those. My freedom of information inquiries to the German Ministry of Education and Research and the medicinal product watchdog Paul-Ehrlich-Institut about the Walles’ ministry-funded clinical trial and about the approvals for their previous trachea transplants, are as yet unanswered, even after the legally binding time period of one month to deliver a reply has long expired. It is none of nosy public’s business if human experiments in German research institutions (with none of the affected patients being currently alive) were ever properly approved or, if indeed these experiments actually still take place or are being prepared. The status of the aforementioned federally-funded multi-patient clinical trial with pig intestine-made trachea is confidential and not for us to know. If you want to speak of academic conspiracy in Germany, here is a big and a highly unsavoury one. In fact, the Walles’ lawyer just sent me another threatening letter, demanding of me to accept the court injunction, pay his clients an unspecified compensation damage and him around €1800 lawyer’s fee. Don’t you dare ask questions about their trachea transplants, or you’ll go to prison. These are two German professors and the law is on their side. Thorsten and Heike Walles, image source: University of Würzburg. Prof. Dr. med. Georg Ertl, Medical Director University Clinic Würzburg, Germany. Prof. Dr. med. Matthias Frosch, Dean of Medical Faculty, University of Würzburg, Würzburg, Germany. For months I’ve been reading in the Swedish press as well as on Leonid Schneider’s blog For Better Science many notes about the scandalous trachea transplantations on human patients in which Dr. Paolo Macchiarini has been involved and for which he’s been, and is still investigated in Sweden. This was an extraordinary scandal for the Karolinska Institute and the Karolinska University Hospital; it has already resulted in several resignations and investigations, including a police investigation of Macchiarini himself. Fortunately, the Swedish authorities and academy adopted an open, self-critical and transparent reaction and in due process questions from journalists were answered, documents were made public, investigations were initiated and conclusions were reported to the public. For his fantastic journalistic investigation of this story “of fraudulent research” that “revealed life-threatening ambition in the academic world” the Swedish journalist Bo Lindquist was awarded the Swedish Grand Prize for Journalism in 2016. In spite of that, according to the Swedish press and academic colleagues of mine in Sweden and other countries this scandal might have negative, perhaps long-lasting consequences on the public trust and confidence in science and medicine and so, in my opinion, it deserves to be investigated to the last link and detail. If the public trust is to be restored, every trachea transplantation in which Macchiarini and his collaborators were directly or indirectly involved should be investigated and the results must be clearly and openly reported to the public. In doing so, which as a scientist I think is necessary and important, Leonid Schneider started to investigate the activities of the German professors Heike and Thorsten Walles, who were also involved in trachea transplantations and had professional links to Macchiarini and his activities (primarily: Macchiarini et al 2004 and Walles et al, 2004). Now, after reading about the court trial in Bavaria against Leonid Schneider, I have the unpleasant feeling that it is perhaps the intent to punish him for his investigations and to avoid further investigations of possible misconduct in German universities regarding Macchiarini-related trachea transplantations. This feeling will be supported if it was correct, I as was told, that both research institutions involved, namely the Fraunhofer Society and the University of Würzburg refused to answer questions regarding the two experimental trachea transplants on human patients they performed and later on published (Mertsching et al 2009 and Steinke et al, 2015 ). Moreover, it appears that Professors Walles acted apparently with full approval of their academic employer by using their academic affiliations with the University Clinic Würzburg. The outcome was a court injunction passed in absentia against Leonid Schneider forbidding him to state facts which Professors Walles themselves had been repeating often and widely just some years ago in interviews, press releases, books and research publications. Leonid Schneider can count with my support and I hope you will also help him in his important investigation, answering his questions and providing as much information as you can disclose. Dear readers, If you wish to express your support as well, please comment with your full name and institutional affiliation below. Update 4.02.2017. The signatories of this letter have been subjected to an “alternative facts” campaign by Walles’ employee Jan Hansmann. Details here. I stand with Professor Cantera in support of Leonid Schneider. I agree entirely with Professor Cantera. There is much that is hidden about this work and in the interests of medical ethics and the trust of the public in science and medicine it is important that bright sunlight is allowed to shine in the many dark corners in the different countries (not just Germany and Sweden) involved in this disgraceful saga. I am not a Professor, but a Pharmacist working in UK and everyday I have to check prescriptions and advice patients. I can see many useful drugs in the shelves of the pharmacies what corresponds to brilliant science work by many several different scientists. For these reasons I believe it is important to shed light in cases like the Walles and many others around the world. Freedom of the press should be protected. Let’s be clear. This is a case of an independent journalist who is threatened with imprisonment and/or financial ruin for repeating facts already in the public domain. As a historian and as someone who tries to be a decent human being, such a situation scares the hell out of me. Is Germany becoming some sort of tin-pot dictatorship, in which justice belongs to the rich and powerful while ordinary citizens are unprotected? Wait and see. Such prosecutorial zeal infringes on academic freedom, freedom of the press, and the right to a fair trial. I strongly support Dr. Cantera’s initiative to denounce the violation of freedom of speak of Dr. Schneider, that apparently the german govement grants to scientist according to unknown and obscure criteria. I regard this verdict as highly undemocratic, fascist, and absolutely unacceptable. Institute of Biomedicine of Seville, Spain. I strongly support this letter by Rafael Cantera, the important work of Leonid Schneider, fair trials, the right to defend yourself, and freedom of speech. The act of the Walles, possibly supported by their university, is to be condemned as not only incompatible with, but as wholly contrary to basic academic principles of minimal decency. It moreover serves neither to clear the Walles of suspicion och research fraud and/or serious research ethical breach, nor to save the reputation of their employer – quite the contrary. had the Walles and the university of Würzburg had any honest intent of clearing up whatever faults may in the past have been committed and to clear themselves of false accusation, they should long ago have invited open critical inquiry. The move to scare, or force by financial pressure, Leonid Schneider to relate already publicly available information about this case is nothing but shameful. I strongly support the open letter of professor Cantera. Klaas van Dijk, Groningen, The Netherlands. In full support of the letter of Rafael Cantera and the efforts of Leonid Schneider to stop this tracheal regeneration bubble. I fully support Leonid Schneider in his important investigation of the tracheal regeneration scandal. It is unbelivable that these life threatning experiments have been and still are supported with research funding in Germany, UK and EU in general. I fully support the opinion expressed by Rafael Cantera in the above open letter. Thank you for writing this letter and i join in to fully support Leonid Schneider and the important work he is doing for all of us. This ridiculous court ruling must be swiftly overturned. Let the truth be free. I fully support Professor Cantera’s letter. To understand how these experiments were allowed to be performed on human patients in the absence of any safety and efficacy data from animal studies, it is important to investigate all of the tracheal transplantations involving Macchiarini and his collaborators. Hopefully, by identifying the flaws/loop-holes in our current systems that permitted this to happen, it will be possible to implement measures to prevent similar things from happening again. Thanks to investigative journalists such as Bo Lindquist and Leonid Schneider for bringing these stories to light. I herein declare my sworn support. I support Professor Cantera’s letter in support of Leonid Schneider. I am sorry to see that Leonid is let down by the german academic system (no german scientist reading and supporting this?!?). A sad state for research when not even higher academic (Uni Würzburg and Fraunhofer IGB) or political (BMBF) institutions in Germany are willing to support scientific transparency, morality and openness. Keep up the good work, Leonid. I fully support the letter from Professor Cantera. I fully support Professor Cantera’s letter and the freedom of Leonid Schneider to do his inquiries. The key point is that the truth finally emerge from these complex affairs. Previous experiences have shown that we cannot trust academic institutions to provide the information, investigative journalists can play an important role. I strongly support Professor Cantera’s letter and the freedom of speech. I strongly support this letter by Rafael Cantera. Leonid Schneider has done a very important work to promote transparency, honesty and fairness in science. Academia is in great need of people who take on these tasks, which are neither paid, nor always rewarded. The Macchiarini scandal has severely wounded the trust of the general public in science and it is utterly important that there are scientists who. like Leonid Schneider, stand up for the principles that should guide science. The scientific community should be very grateful for his job. Thanks for writing this letter. I am happy to add my full support against the intimidation of Leonid Schneider and the diligent and careful work he is doing on behalf of scientific integrity. Shooting the messenger adds even more legitimacy to the idea that this needs even more investigation. I support investigative journalism and this ruling must not be allowed to stand. I strongly support this letter by Rafael Cantera and the the important work of Leonid Schneider. I fully support the open letter of professor Cantera and the work of Leonid Schneider. I fully support Professor Cantera’s letter in support of the important work that Leonid Schneider is doing to promote transparency and fairness in science. I stand with Professor Cantera in support of Leonid Schneider. The court action is scandalous and cowardly. For the interests of future patients and good science, the trachael transplantations concerned must be openly investigated. I support open and transparent investigation and evaluation of research in any area, and in that spirit I support Leonid Schneider’s search for the facts in this case. Freedom of Speech, freedom of investigation, freedom of blogging, freedom of journalism should be protected -more so at such times when they are being threatened. PhD scholar at Nagoya University, Japan. I give Dr. Leonid Schneider my full support. For better science! I fully support the letter from prof. Cantera and I stand with Leonid Schneider, which painstakingly investigate misconduct in science. I fully support the opinion expressed by Rafael Cantera in the above letter. I hereby support the open letter by Rafael Cantera. Leonid, thank you for your important investigations. I fully support Professor Cantera’s letter. While I am not trained in medicine and do not know the case of Macchiarini or the Walleses in detail, I am a strong supporter of the idea that science should be an open endeavour. All science should be open to further scrutiny, not least when people’s health or lives are at stake. Therefore I strongly support this call to support Leonid Schneider and his investigation and find the apparent methods of legally punishing him for merely repeating statements already made in public completely outrageous. I strongly support the letter by Rafael Cantera, the work of Leonid Schneider, fair trials, the right to defend yourself, and freedom of speech, no country can impose silence. I fully support this letter and thank Leonid and others who have investigated this issue. I support Professor Cantera and Leonid Schneider, and I urge the Walles’ lawyer and the Bavarian court to stop this attack on science and reason. I also fully support Professor Cantera’s letter and acknowledge the importance of Leonid Schneider in promoting transparency in science. Leonid Schneider deserves the right to defend himself, hopefully, these charges will be dropped. Nobody deserves to be punished for exposing such illicit and dubious ‘science’. Keep up the good work Leonid Schneider. In support of Leonid and the freedom of science journalism. I also fully support Professor Cantera’s letter. I am shocked that the trial against Leonid Schneider was conducted in his absence and that his requests for relevant information were denied, despite being made under legally binding freedom of information laws. Science seeks to advance our knowledge and understanding, but this goal will be derailed if we cannot act with transparency and integrity. Science is only “self-correcting” if we allow members of the scientific community, and the broader public, the freedom to discuss theories, techniques, findings, and ethical implications. Legal attempts to chill such open discussion are a strike against the organized skepticism which is essential to good science. I cosign Prof. Cantera’s letter. I strongly support the letter of Professor Cantera and the freedom of Leonid Schneider to pursue his investigations without the threat of financial or legal penalties. Researcher, Blavatnik School of Government, University of Oxford, UK. I support Professor Cantera’s letter. I fully support Leonid Schneider in his important investigation. “It is remarkable that a University should have recourse to legal threats against a journalist who is requesting information. Such behaviour is likely to have the opposite effect from that intended, by drawing attention to the dispute and by damaging the reputation of the University. I have read the letter and would like to support the notion that all science should be open and questioned and scrutinised. To be against this scrutiny is to be against the idea of science – that it has a logical system of examining the world. No scientist is above scrutiny, nor should they wish to be. Manchester M13 9PL, United Kingdom. I fully support Professor Cantera’s letter and Leonid Schneider’s excellent work covering the tracheal transplantation scandal. Good quality science requires transparency and critical investigation. The court case against Leonid Schneider frontally attacks both of these fundamental prerequisites, apart from seemingly violating the defendant’s basic rights to defend himself in court. Count me as a supporter of Dr Schneider. This is an abuse of the flawed German legal system, and in the US would be promptly dismissed by anti-SLAPP statutes present in many states. University of Rochester, NY, USA. Critically questioning scientific findings and medical acts is part of the scientific method, and discussing this in public is a matter of freedom of speech. There I agree with Professor Cantera that Leonid Schneider’s investigations should not be blocked by a court trial. As a German having been working in research outside of Germany for many years, I am shocked by how this is handled by the German authorities. I hereby wish to express my support to Leonid Schneider. I strongly support Dr. Cantera’s initiative to denounce the violation of freedom of speak of Dr. Schneider. The right of scientists and journalists to critically investigate and examine research findings is absolutely fundamental for science to flourish and needs to be defended. I support prof Cantera ‘s letter. There should no space for lies and secrets in science. I strongly support this open letter. That this court injunction could have passed without hearing Leonid Schneider first, is almost unbelievable. If that’s all legally in order it gives people/institutions way too much room to silence critics in my opinion. I strongly support Prof. Cantera open letter. Investigative journalism should be respected and protected. I fully support Professor Cantera’s letter. I am chocked by the legal pressures exerted on Leonid Schneider, which add an additional layer of shame to this scandal. I support the views expressed by Prof Cantera and am horrified by how the Walles are abusing the German court system to avoid having to accept responsibility for their activities. While I do not necessarily agree with Schneider’s interpretation of the Germany legal and university system, the legal response seems indeed grossly disproportionate. My understanding is that Schneider merely repeated what was reported by the author Bernhard Albrecht, whom Thorsten Walles had endorsed. That Walles was intimately associated with Macchiarini, and that Macchiarini is a scientific charlatan who has caused both science and his patients great harm are facts. One can only hope that Walles has since distanced himself from Macchiarini. Alexis Verger, senior CNRS scientist. I fully support professor Cantera´s letter. I fully support this open letter. I also wish Leonid Schneider good luck in his quest to uncover the flaws in the system and the disregard shown to patient welfare. Thank you Leonid, be strong! I fully support Professor Cantera’s letter and Leonid Schneider’s work reporting these dangerous cases of fraud that are largely ignored by the press or silenced by legal actions. I fully concur with this initiative. Wow, this is disturbing. I support the letter above. Best of luck Leonid. I fully support this letter. I fully support Rafael Cantera’s letter and Leonid Schneider’s efforts to investigate this matter. I strongly support Professor Cantera’s letter and Leonid Schneider’s right to report these issues. We have a duty to humanity to be open and transparent on these issues. I support Prof. Cantera’s letter. I hope that the University Clinic Würzburg will perform a full investigation on the ethical issues surrounding the trachea transplants and will reconsider their role in the court case against Leonid Schneider. I stand with Rafael Cantera and support the content of this open letter. In support of the content of the above letter! I support this open letter. I fully support Professor Cantera’s letter on Leonid Schneider’s work. Along with Dr. Cantera, I fully support the open and unbiased investigation into ethical concerns surrounding the work of Dr. Macchiarini and participating colleagues, whether from Sweden, Germany or elsewhere. Leonid Schneider and other journalists must be encouraged to ask questions and report in order to maintain scientific trust and transparency. Science and ethics both rely totally on open discussion. The issues described here urgently need to be examined and discussed in the broad light of day. Not doing so openly is an abnegation of ethics and of scientific truth – everyone needs to do better. I fully support Leonid Schneider! He is a defender of scientific integrity, which is critical for research to function. I fully support this open letter from Professor Cantera as well as the important work of Leonid Schneider. It is extremely important that the University of Wuerzburg investigates these allegations. If these transplants were done in the Macchiarini way, without robust preclinical investigations, there is a serious problem which should not be covered up. Responding to Leonid Schneider’s investigations with a law suit is an incredible move which is highly detrimental to the trust in science. I fully support Prof. Cantera’s letter and Leonid Schneider’s right to report on these issues. I support the letter by Rafael Cantera and the work of Leonid Schneider. 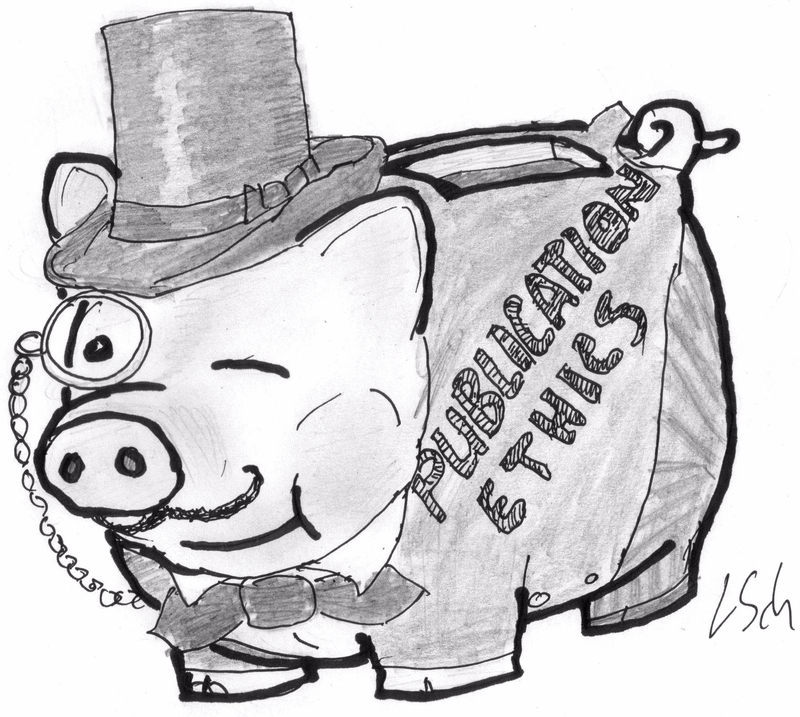 Threats of litigation in response to journalistic inquiries about research is just… wrong. As a former academic in America and Germany and the current managing editor of a German-based scientific journal, I personally fully support the letter by Rafael Cantera and the important work of Leonid Schneider. I strongly support Leonid Schneider who is doing an important and difficult task of investigative science journalism. I do believe in law and, therefore, I think that if Leonid was wrongly accused in the court, the case should be fought back in the court. The scientific online community can be asked to support this case by crowd-sourcing to fund a good lawyer and/or by contributing direct legal support. Openness and transparency are core values of science. An in absentia court injunction to suppress public domain knowledge is ridiculous. The course of action is a shame for the German court and the University Clinic of Würzburg and should be corrected as soon as possible. I fully support the support letter. I fully support Professor Cantera’s open letter in support of Leonid Schneider and freedom of speech. I fully support Professor Cantera’s letter in support of Leonid Schneider as well as freedom of speech. I fully support the letter and Leonid Schneider. And of course, freedom of speech. Count me in. I support the letter. I strongly support this letter by Professor Rafael Cantera in support of Leonid Schneider. I strongly support the letter in support of Leonid Schneider. I agree with this letter from Rafael Cantera in support of Leonid Schneider and the exposure of research malpractice. I would like to add my support to this letter. I am adding my support as well. Open, even critical, fact-based assessments of biomedical science are vital and threats against transparency must be countered. I fully support this letter and the important work of Leonid Schneider for the transparency of science. I fully support the investigantional journalism of Leonid Schneider, transparent and evidence-based science, and reject the attempts of all individuals and institutions acting in opposite manner. It is distressing to read about attempt to suppress information in this manner. It is not the first time I’ve seen misbehaving scientists use the courts to stifle academic discourse. We must stand against this in these dangerous times. Bodo Brückner, Dr. rer. nat. I also strongly support the the letter of Prof. Cantera in this matter. The action of the involved universities is more than questionable. I would like to voice my support for Professor Rafael Cantera in support of Leonid Schneider. Openness and the right to be able to question findings are vital to helping move science forward. I support the letter of Prof. Cantera. It is deeply troubling when science becomes mixed with litigation in this manner. A Court injunction to suppress information that is already in the public domain is both self-serving and absurd. I fully support the letter of Prof. Cantera, Leonid’s work, freedom of press and investigative journalism. I wish to express my support for Leonid Schneider’s investigative journalism. I may not always agree with his stridency but his motives in exposing corrupt and illegal scientific practices are entirely praiseworthy. I think it is morally reprehensible for academics and academic institutions to sic lawyers and threats on journalists. Both our professions deal with truth and the freedom of speech is the truth’s surest defence. I support this letter of Prof. Cantera in support of Leonid Schneider and independent investigative journalism! I fully support Professor Cantera’s letter and the freedom of Leonid Schneider to pursue and report his inquiries. I support the letter of Rafael Cantera. Freedom of speech should be protected. Everywhere. I am definitely supporting Leonid’s cause and work, the letter of Prof. Cantera, and freedom of press and investigative journalism. I strongly support the open letter by Professor Cantera and the freedom of speech of Dr. Schneider. I support the opinion expressed by Rafael Cantera above, and Leonid Schneider’s continued investigation of trachea transplants in Germany. Freedom of speech must be protected and cared for. I am not familiar with the details of this case and I cannot comment on the merits of the various claims and counterclaims. However, I am concerned that the involvement of the courts is a disproportionate and heavy-handed response to the rather anodyne text in a blogpost. Whatever the merits of this case may be, involvement of the courts is bound to have a chilling effect on independent journalism. Professors Walles would have been far better off to post their detailed rebuttal, in English, on a website rather than making it public indirectly via a court judgement. I support Rafael Cantera’s letter. We all like to read reports on scientific advances that have been made but critical writing by science journalists is equally important. Please, count me in. A free press is instrumental in keeping scientists honest, open and transparent. As scientists we have the obligation to know if scientific data made public are correct or not, consequently demanding the greatest effort of all involved parties, responsible scientists and their employers and employees, to give access to all the information. Only this type of openess and good disposition can guarantee that us, the scientific community, and the general public reach the right conclusions. Quite different from how this particular situation was handled in Sweeden, the German suspected parties do not seem to be reacting in an open and constructive way. Quite on the contrary, instead of contributing to help Leonid Schneider´s efforts to bring light into this most deplorable (pseudo) medical matter, his work is being endangered by most indign actions from the investigated scientists, with the shameful suppòrt of the University Clinic of Würzburg´s authorities. As scientist I cannot but fully support Dr. Schneider´s quest on this matter and hope that University Hospital German authorities correct their (corporative) course of action and facilitate this investigation. I fully support the open letter. I fully agree with the letter of Dr. Rafael Cantera in support of Leonid Schneider’s investigation of trachea transplants in Germany. I too fully support the open letter by Rafael Cantera above. I too support the open letter by Rafael Cantera. I fully support the contents of Prof. Cantera’s letter. Transparency in dealing with ethical issues in academic institutions will bring better science. I support this letter. When science is decided by the courts, we’re all in big trouble, even in a democracy. I support this open letter and the work of LS on behalf of science, public health, and freedom of speech. It should be shocking that the scientific establishment is acting like the enemy of free speech and effective journalism. I support this letter. Honest bloggers contribute much more to science than dishonest scientists. I support the open letter. I think that all work done with participation of Macchiarini must be carefully investigated. I am impressed by the multiple investigations on all possible levels which took place in Sweden and surprized that German Universities have not made adequate effort to investigate Macchiarini’s work, work of his co-authors, all relevant operations made using similar methods. It looks like Leonid is doing this job instead of Universities and other official organizations in Germany. I am not specialist in this field but I strongly support efforts of Leonid who is trying to investigate this story. I support the letter by Prof. Cantera’s letter. I too fully support Professor Cantera’s letter. I support Leonid’s investigations and Cantera’s letter! I support Prof. Cantera’s letter. There needs to be transparency when it comes to ethical issues and you cannot just sweep the truth under the carpet. Punishing journalists who repeat open statements seems therefore totally inappropriate. I fully support this open letter, and am frankly amazed that the German Courts have taken the approach they have done. I am astonished by this kind of image manipulations in publications.. There should very tough consequences, or else the integrity of research will under question. “STAP” has sapped the fight out of me for science integrity. But here, I make the extra effort to strongly support Leonid’s investigation into Paola Macchiarini trachea transplantation misdeeds. I also strongly support Professor Cantera’s open letter. I strongly support Professor Cantera’s open letter. While I recognize that I am not familiar with the German legal system, I feel that Schneider’s investigation on this issue has ended up in an unbalanced court decision. I may not share all Schneider’s opinions on other matters, but I support Prof. Cantera’s letter in relation to Schneider’s investigation. Many thanks to Leonid Schneider for his work. I fully support Rafael Cantera’s open letter. It is extremely important that people be able to critically evaluate published data. I support the freedom of all scientists to participate in reasonable and rational post-publication peer review. The activity of the German courts described in this account is bizarre and certainly not in the public interest. I fully support the letter of Prof Cantera. All the best for Leonid Schneider! I support the freedom of the press and see a strong need to fully clarify this case. I fully support Dr Schneider in his quest for freedom of speech, open truthful reporting of research findings and in ethical practice in science. Dr Paul A Hoskisson, Reader in Molecular Microbiology, Strathclyde Institute of Pharmacy and Biomedical Science, University of Strathclyde, UK. I am no expert on German law, but to my understanding Dr. Schneider has, as he has done in other cases of scientific misconduct, reported the facts as he found them. The court order presented here seems disproportionate. I support the letter above. I stand behind Leonid Schneiders efforts to investigate and expose these frauds. It is laughable that he finds himself on the recieving end of corrupt justice for his service. I’d like to add my support to the sentiments of the open letter, to Leonid Schneider and his work towards greater transparency in scientific research. Transparency will benefit all concerned. Much more clarity and information are need here. I support Leonid Schneider’s further investigation into this matter. I know Leonid from three personal meetings in the context of ‘good science’. I support his fight of a better sience. I strongly support the open letter of professor Cantera and I want to emphaze that the contribution of Leonid Schneider to the the scientific community is unvaluable. I stand with Cantera’s letter and support Schneider work against fraudulent research that is undermining public trust on Science and it is a form of public corruption. Marie Curie Fellow at CICbioGUNE institute. I support Professor Cantera’s open letter and Leonid Schneider’s fight against fraud in Science. I substantially disagree with the open letter. I do not believe that the court trial in Bavaria was plotted against Leonid Schneider, intending to punish him for his investigations. However, I am surprised that legal means are taken against Leonid Schneider for apparently pointing out previous reports by Bernhard Albrecht. Journalism and well founded criticism are a social need that must be protected, not attacked in court. All my solidarity with Leonid Schneider, for a better science. Support from my side for brave Leonid and his work! I fully support Leonid’s work and the open letter. I support the letter and thank Leonid for his work on scientific misconduct. I support Cantera’s letter. Thanks to Leonid for his great work to keep an eye on misconduct in science. I sign in support of Leonid Schneider. I support this open letter & Leonid’s outstanding investigative work which is clearly needed to be continued. I stay with Professor Cantera in support of Leonid Schneider. Count on me! I support this open letter and Leonid Schneiders work. We as patiënts need more critical academics who stand up for better science and integrity. I support this letter. Leonid Scheider is doing a great job for research integrity. I also support this letter. I fully support the open letter of professor Cantera. I support the open letter and the important work by Leonid for integrity in science. I wish to add my name to Professor Rafael Cantera’s letter in support of Leonid Schneider’s investigative reporting concerning trachea transplants conducted in Germany and elsewhere. These experimental procedures — and the many ethical, legal, and scientific issues they raise — need to be subjected to careful and critical scrutiny and public debate. Silencing or attempting to silence investigators and critics does not serve the public interest. I am an Associate Professor at the University of Minnesota. I write as an individual faculty member and not on behalf of my academic institution. We need total transparency in science. I enthusiastically support every researcher that seeks honesty and transparency in research. I fully support the open letter of professor Rafael Cantera.We need people like Leonid Schneider who fight for transparency and integrity in science. I stand with Professor Rafael Cantera in his open letter of support for Leonid Schneider. Where ‘inconvenient questions’ move us closer to the truth, then ‘inconvenient questions’ are the friends of scientific progress.